On the day that the Shirley Sherrod story broke in 2010, Glenn Beck completely ignored it during his show on Fox and led with seven month old "news" that the Obama Administration had put an American citizen suspected of involvement with al Qaeda on a hit list. Appropriately, Beck railed against such an un-Constitutional strategy, but after Anwar al-Awlaki was killed last Friday, Beck sidekick, Pat Gray, sought to give partial credit for this killing to George Bush and neither he nor Beck uttered nary a word of dissent. Do you remember the underwear bomber? He was so good. Sometimes I wear my underwear bomb just on Friday nights, just to be crazy. Anyway, remember the underwear bomber, the Fort Hood shooting, the inspiration behind these terrorist attacks is dead. Dingdong, the witch is dead. Anwar al-Awlaki is dead. There is no dissent on Beck's part, no principled stand that he took back in 2010. This embrace of the un-Constitutional assassination of an American without due process by Beck is just one more on the long list of hypocrisies that he has demonstrated during the last 18 months of this Review. 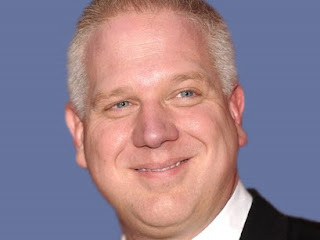 Beck is great at telling his audience what they want to hear, but a "principles and values guy" he is not, despite his claim to that! 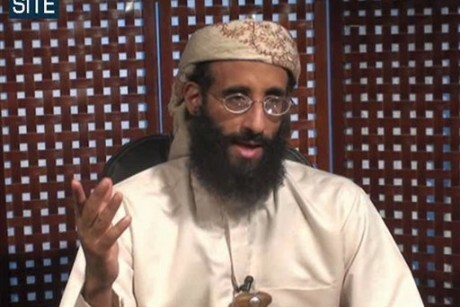 U.S.-born al-Qaida cleric Anwar al-Awlaki has been killed in Yemen. What’s going to drive me crazy about this is the Obama administration and their surrogates claiming credit for it like this is the greatest thing they’ve ever done and, you know, they’re fantastic, they’re tough on terror. They inherited this effort from the Bush administration. They inherited the intelligence, the resources, the military, the people. That man is an idiot! To his credit, George Bush never crossed this Constitutional line; and, if he had, many of the same progressives supporting this assassination of al-Awlaki would have been screaming bloody murder. Progressive blogger and Constitutional lawyer, Glenn Greenwald addressed this killing in a piece on Salon.com. From an authoritarian perspective, that’s the genius of America’s political culture. It not only finds ways to obliterate the most basic individual liberties designed to safeguard citizens from consummate abuses of power (such as extinguishing the lives of citizens without due process). It actually gets its citizens to stand up and clap and even celebrate the destruction of those safeguards. If Beck were the "principles and values guy" that he touts himself as, he would not have fallen into that authoritarian trap. Not a shred of evidence offered in this article.